This past weekend was amazing. One of the highlights included countless conversations that were not facebookable but were shared with some amazing people. I didn’t get much crochet done… And yet, I’m ok with that. 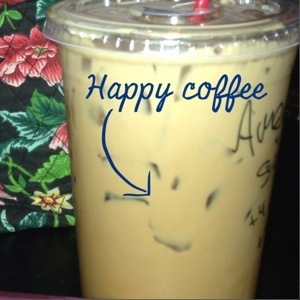 It was such a fun weekend, even my coffee was smiling. Ah, your coffee cup- adorable! Helen brilliantly penned… Aannddd… Spring! I couldn’t have done that if I tried. 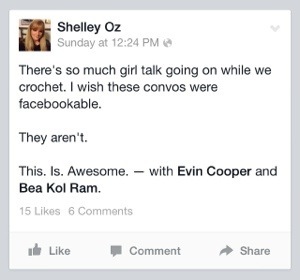 I need you guys to teach me how to crochet or knit so I can join in! We can teach you…. OR YOU COULD JUST JOIN US!! !